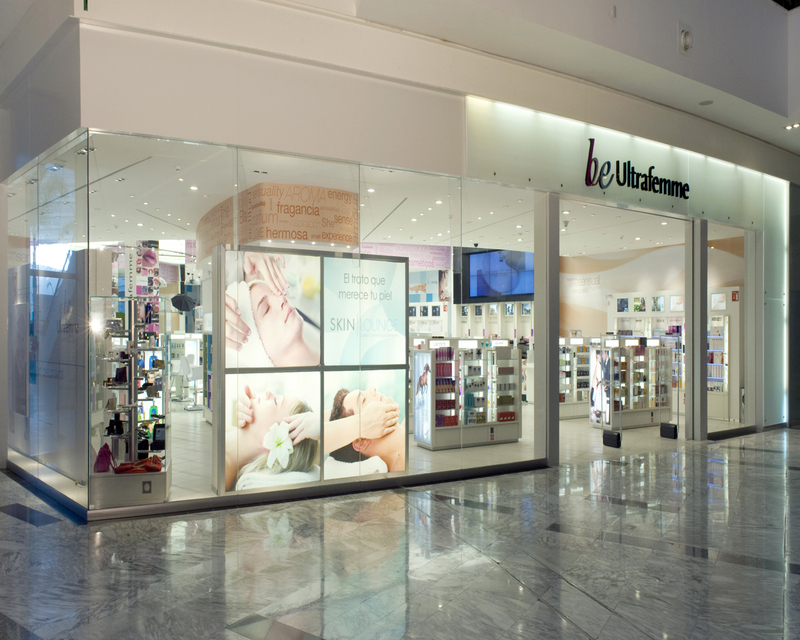 As the leading Mexican cosmetics retailer, Be Ultrafemme is a new concept that builds upon Groupo Ultrafemme’s authority in each of the three major categories: Fragrances, Cosmetics and Skincare. New product groupings were based on buying habits studies, designed to be customer friendly and attractive to their core consumer. Creating separate zones for the three categories (rather than by brands), each area conveys its own “authority,” with Beauty Experts who offer a more consultative approach to the sale. While allowing each of the cosmetics vendors to insert their own branding elements, the store was designed to be iconic through its layout, fixtures and graphics.